Whole spices (Cinnamon, Cardamom, Cloves) - 1 inch piece, 4 pods and 5 cloves. 2. Take a big vessel/pot, choose that fits in your pressure cooker. 3. 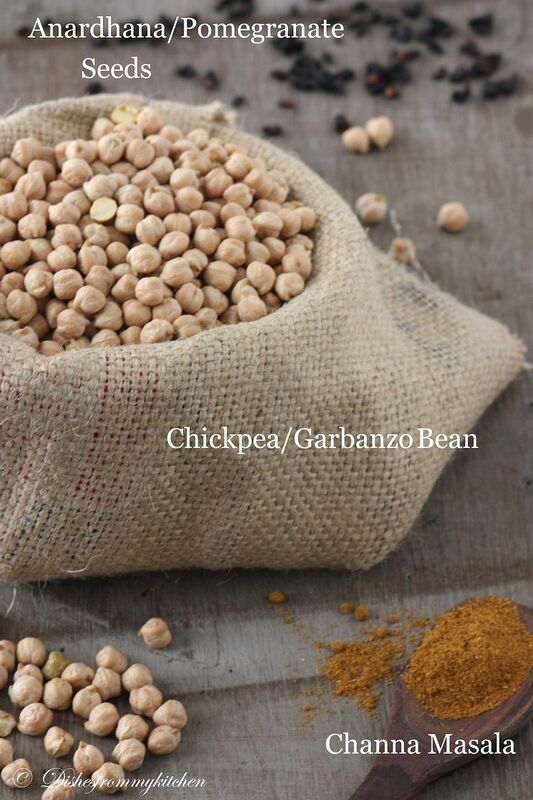 Add the washed and soaked chickpeas; add 5 cups of fresh water. 4. Add little salt, 2 tea bags, and in a small muslin cloth crush small cinnamon, 2 cloves, 2 cardamoms tie it and add it to the chickpeas. 5. Close and pressure cook for 3 whistles (depends on your cooker). 6. When pressure is released, discard the tea bags and whole spices knot drain and keep it aside. Don't throw the water; we will be using it to the gravy. What should you do if you don't have pressure cooker? 1. Follow the first 4 step above and let it cook stove top. 2. Stirring occasionally let it cook until the chickpeas are soft but it should hold it shape. 1. Heat oil and ghee in the heavy bottom vessel. 2. Add the whole spices followed by whole cumin seeds. 3. After it splutters, add chopped green chilies. 4. Add the Ginger +Garlic paste cook for some time until raw aroma disappears. 5. Now its time to add onion paste till light brown color. 6. Add tomato puree; let it cook for some time until oil separates. 7. Add redchilli powder, chole/channa Masala , roasted cumin powder, Anardhana powder and now add the chopped tomato(this is because we love to eat chunky tomato here and there, this is absolutely optional if you don't like make this to puree as well and add when all tomato puree is added). 8. Now add cooked chick peas and water that is drained from the chickpeas when cooked. 9. Add salt and let it simmer for at least 20 to 25 minutes. 10. Finally garnish with chopped coriander leaves. Serve it with your favorite breads and enjoy with some raw onions and lemon wedges. 1. Don't over cook the chickpeas. It should be soft but should hold its shape. 2. The consistency depends on the way you like, some like thick; some love it to be semi gravy, so add the water according to your preferences. 3. This tastes so good the next day too. 4. 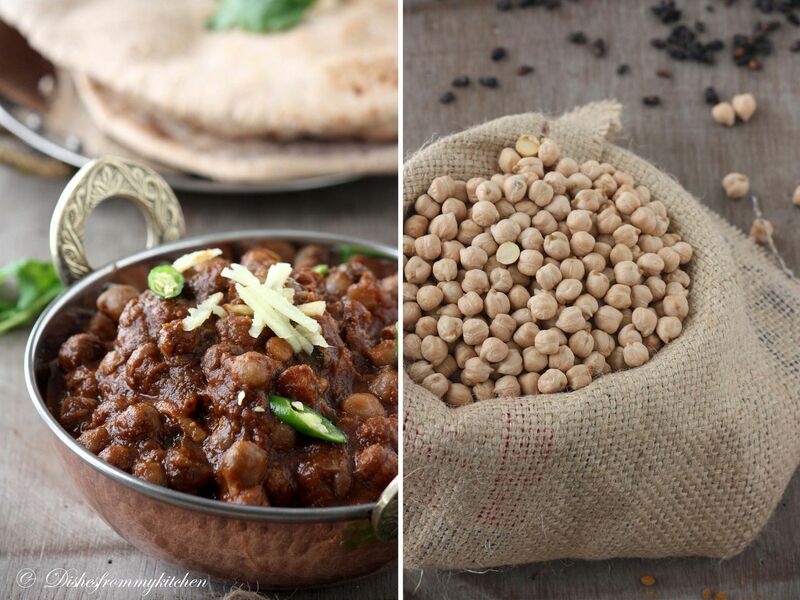 You can use brown or green channa for another variation. u are a great cook...I agree completely...but you can be more creative in presenting the pics..and you can...please consider my previous comment as a suggestion/feedback. @ Shedmic What the heck do you think, I don't copy people. I have my own style of platting and I set trend, I am sure all my blogger friends and people who visits my blog know this. Open your eyes and use your brains before you write. I am open for constructive critisism, but what you have written is total crap that too without proper name and unknown profile. Don't try to write without thinking. Everybody has their own style and I have my own style too and way of garnishing. If you cannot represent or reveal your name then you don't have credibility. I can see a huge difference since you started and now .. here is the answer for your question, Yes offcourse I improved my photographic skills.. did somebody said you that she taught me ? Everybody improves their skills based on their passion, I have seen a lot of bloggers who's photography,platting etc has improved, does it mean they are copying me ? Feel just like grabbing the kadai out of the pictures, looks so real and yummy. 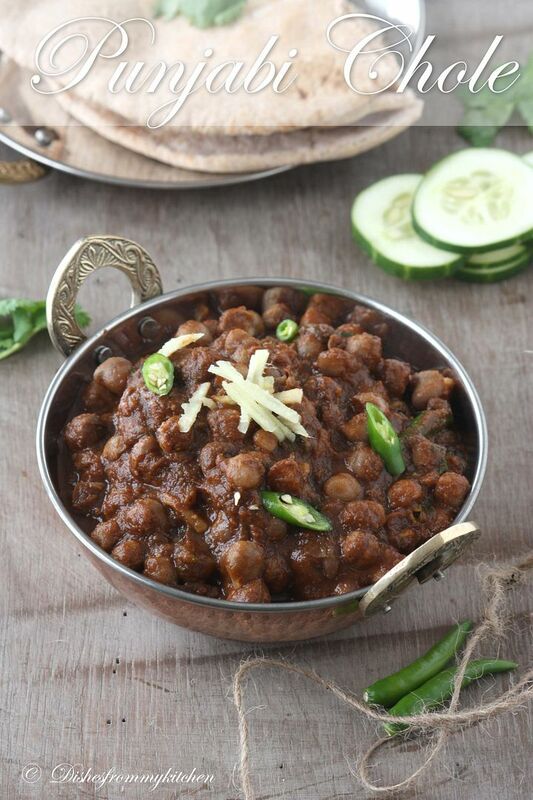 Wow just need some rotis to enjoy with this super delicious channa masala, ur picture itself is torturing me Pavi..drooling drooling here..
Yummy chole...Love the cute little kadhai..
Wow great clicks...I wish I could just dig in...I wanted to make your version but sadly anardhana is not available at my place...is it store brought, if so which brand...and instead of teabags...is it ok if I add little black tea? Wow its drooling and a healthy one too. yes this is the recipe which I have been hunting for years !! U have made my day !!! This is looking super good Pavithra..I make normal chole but always wanted to make punjabi chole with anardana..now I know where to look. @shedmic- stop writing atrocious comments..lot of hard work goes in creating beautiful pictures like these..if you cannot appreciate then atleast stop criticizing them...everybody has their own style. @pavithra- rightly answered pavi...i love your pics..keep up your superb work ! @Shedmic - You don't have an open profile or a blog or anything.. So someone like who has popped out of thin air should not give such comments.. Critise in a positive way but just don't make accusations .. It is just not right. Stop acting like moral police as we bloggers have our conscious to stop us from copying from others [if at all we do it !!!!]. 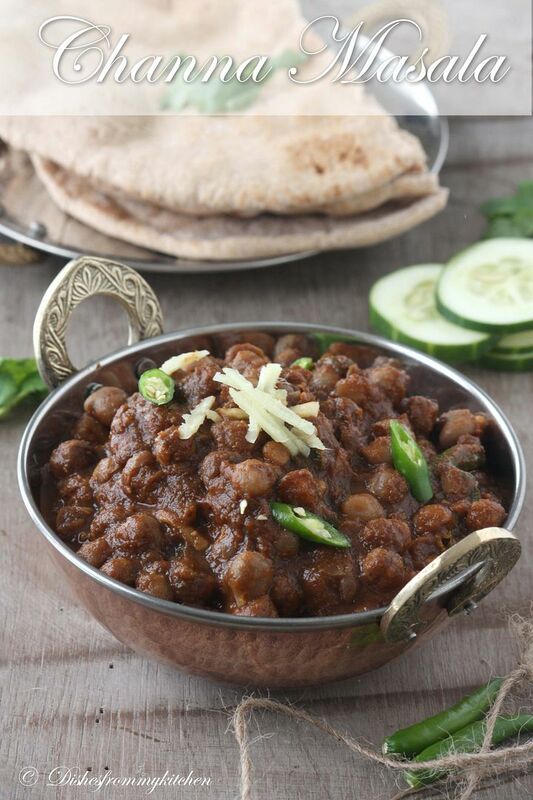 your recipe of chana masala is superb..I loved the dark colour of the gravy which i never get while making this at home ...And pics are amazing !! superb..beautiful click...!! !dish is v colorful n tempting! @ Raji and Revathi ..thanks so much for your support. It really makes me happy to get such a good friends. @ Nisa Homey Anardhana is pomegranated seeds, if you don't have try substituting amchur powder , if u don't get that its fine even without those it still tastes good. Squeeze tsp of lemon juice after the curry is done. Yah u can use black tea; tie it in muslin cloth and add while cooking the channa. Gal I want this chana masala, looks mouth watering, and great color!!! I've had this - but never prepared by me. And loved it. Like the questions above - I had some of the same so I see the substitutions. Your photos ... those photos...they are a happy wonder. I too make this one almost like this! The colour and the look is just too good, pavi!and the pictures rocking as usual..
And yeah...I have this habit of waitng for the first comment after every new post. Tonight I had to wait for a long long time! Chole looks superb! Never figured out how to get that dark color.. I add almost everything except Anardana powder. Do you think your dark colored chole is because of thar? This is such a healthy dish and I love the spices and herbs you used in the recipe. :) Must be delicious. 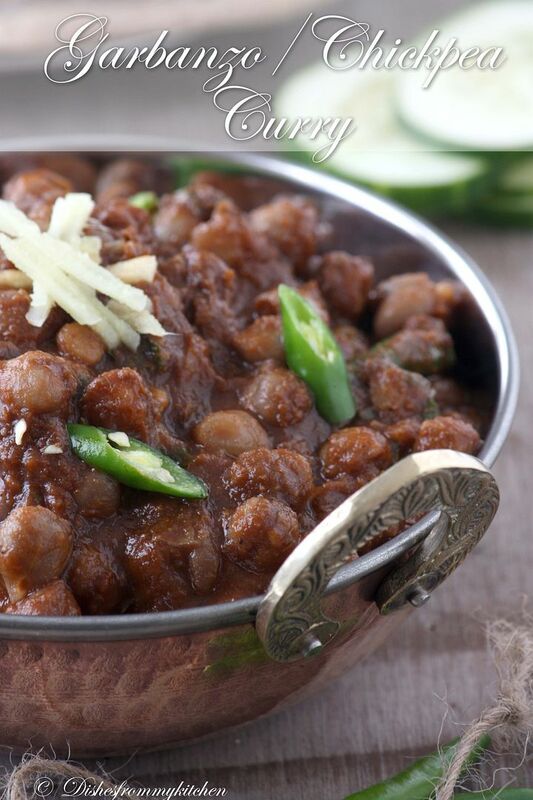 Love Channa and this channa dish looks so delicious. Love it especially with batura/poori :-) And the pictures are amazing Pavi . Wonderfully done chole. Lovely snaps. Awesome !!! I love the color in it ... Rocks !!! Dont fret over people's talk.. Have a deaf ear to it dear !!!! You rock with your pics and offcourse the recipes !!! hi Pavithra, this looks so good, how did u get that black color? is it the ground pomegranate seeds? how does it taste? I've never tried this ingredient before. your photos are great and it make a spice foodie like me, mouth water. so keep it up gal. and about that nasty comment. I guess that person did not have anything worthwhile to do. I follow both your blogs, it is insane to say that u copy vegibelly, coz both ur cooking and styles are totally different. I agree with differences, if u see my blog u'll see the difference in photos too. coz none of us a born with camera right? we improve with practice. I guess this person is blind to comment this way..
jus ignore and keep up ur good work!!! I just like this.Thanks for sharing.